This article shows you how to import data from a Rally view into a Roadmunk roadmap. The first step in the Rally import is exporting data in a Rally view, such as the User Stories Summary, to a CSV. Here's a snapshot of what the view might look like. 1. 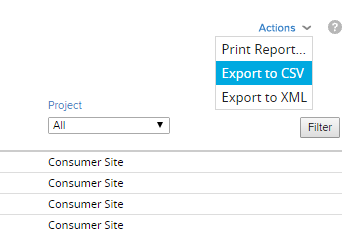 In the Actions menu select Export to CSV. 2. 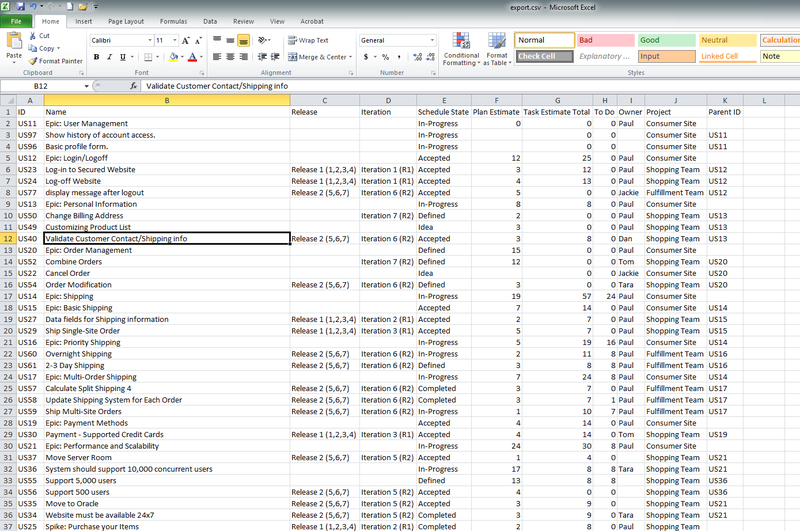 Save the CSV file and open it in a spreadsheet application (for example, Excel). For more details, go to Rally's exporting walkthrough. If Roadmunk will be regularly updated from Rally, we recommend renaming the ID field in the CSV to ExternalID. Roadmunk uses this field to match existing items so they're updated instead of overwritten.